"Decision Points" is the extraordinary memoir of America's 43rd president. Shattering the conventions of political autobiography, George W. Bush offers a strikingly candid journey through the defining decisions of his life. 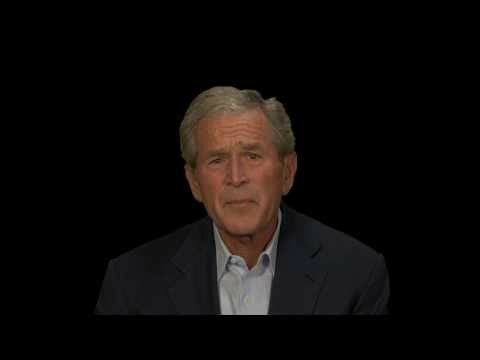 In gripping, never-before-heard detail, President Bush brings readers inside the Texas Governor's Mansion on the night of the hotly contested 2000 election; aboard Air Force One on 9/11, in the hours after America's most devastating attack since Pearl Harbor; at the head of the table in the Situation Room in the moments before launching the war in Iraq; and behind the Oval Office desk for his historic and controversial decisions on the financial crisis, Hurricane Katrina, Afghanistan, Iran, and other issues that have shaped the first decade of the 21st century. A groundbreaking new brand of memoir, "Decision Points" will captivate supporters, surprise critics, and change perspectives on one of the most consequential eras in American history - and the man at the center of events.